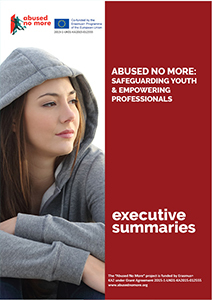 Earlier in March, the IARS Youth Advisory Board held a meeting at the IARS Offices to scrutinise the literature review and the methodology of the Erasmus+ funded project “Abused No More” Safeguarding Youth and Empowering Professionals. Prior to their meeting our research team provided them with the first draft of the literature review that examines key project concepts such as gender-based violence (GBV) including FGM, forced marriage and other Harmful Traditional Practices; public legal education; discrimination and gaps in service provision for migrant women fleeing violence. The report included references to the methodological approach that the team aims to adopt in order to conduct fieldwork with migrant, refugee and asylum seeking women in the UK. 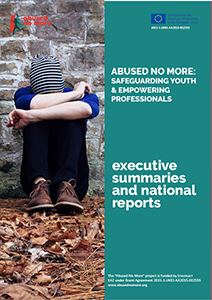 The aim of this literature review is to provide a context for the Abused No More project, and to identify existing gaps in knowledge so that research questions for the fieldwork can be refined. It is worth mentioning here that in the develolpment of the literature review IARS has involved directly two young migrant women who acted as research assistants. During the meeting our Youth Advisory Board members had the opportunity to discuss in depth the project objectives, methodology and current progress and provide their direct feedback to the research coordinator. After the completion of the meeting they were provided with a short questionnaire and were asked to sumbit their feedback in writing. Below you can find the detailed feedback. In accordance with IARS youth-led ethos, their thoughts, feedback and concerns were taken into consideration and reshaped our methodological approach to ensure that the project remains youth-led and youth relevant.